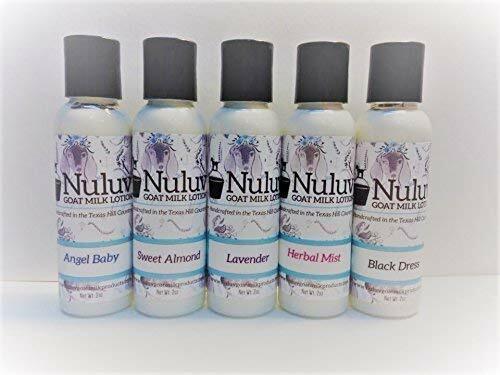 5 Bottles of Nuluv Goat Milk Lotion - your choice of fragrances. All of our lotions are handmade, on our farm, with milk from our own herd of dairy goats. If you have any questions about this product by Nuluv Goat Milk Products, contact us by completing and submitting the form below. If you are looking for a specif part number, please include it with your message.